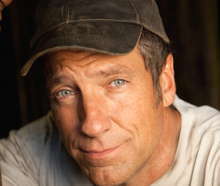 Mike Rowe resurfaces, and takes heat for it. ?CNN and Sikhs. Abby Huntsman, Ana Navarro being considered for The View. Bauder: Meghan McCain is a feisty new presence on The View. 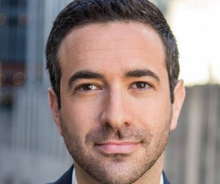 CNN ‘manipulates’ Gaza reporting to blame Israel. ? It’s official. New ‘Capitol J’ ads tout MSNBC’s ‘hard news‘. ?Weekend numbers. 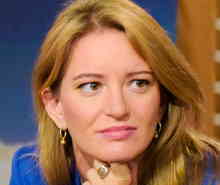 Impartial NBC anchor has ruled: FNC personnel?are not journalists. Updated 5:11 pm? ?Use our valuable bandwidth to post your?cable news comments?in today’s open thread. Report: Abby Huntsman is angling to join The View?!? 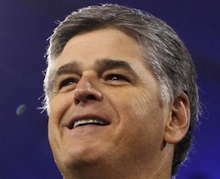 Friday’s numbers: Rachel Maddow-Hannity-Tucker 1-2-3. Impartial MSNBC journalists want Trump put in twitter jail! 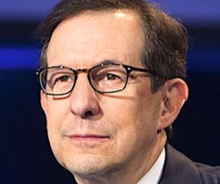 After grilling Putin, Chris Wallace took a vacation…in Russia! Fox News CEO Suzanne Scott named to AdWeek’s Power List. New heights in interview hijacking. ?CNN headline:?fake news. Canada’s premiers to take their free trade battle to Fox News? CNN: Kavanaugh will overturn this law…that no longer exists! Coop Facebook debut featured Jim Acosta, drew 4,000 viewers. CNN uses somber graphics, ominous music for Summit coverage. 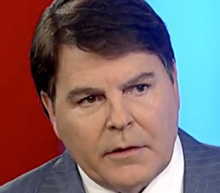 FNC’s Mark Levin scorches ‘pseudo-media’: ‘a lot of psychopaths’. 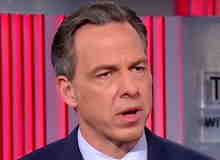 CNN attacks other journalists,?expects special treatment in return. Fake news? 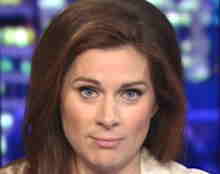 Erin Burnett falsifies reason for?guest’s cancellation. 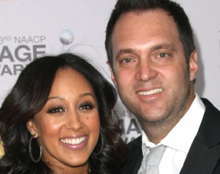 Baby boom: pregnancies and births at CNN. ? ?Weekend numbers. 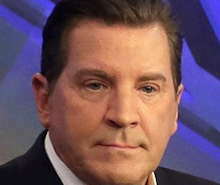 Anderson (‘Most Disgraceful‘) Cooper to receive?Cronkite Award. Hasson: Man behind the curtain?pushing Laura boycott unmasked. Updated 6:49 pm? ?Use our valuable bandwidth to post your?cable news comments?in today’s open thread. FNC live overnight. ?Carl Cameron resurfaces…at Think Progress!